The Newport Pagnell session is on June 24th, with the Olney discussion the following day. Local residents are being invited to give their views on the future of libraries in Milton Keynes as part of a borough wide review that is seeking to make significant savings over the next three years. A series of discussion sessions will take place in the borough’s nine libraries at the end of June and early July for people to hear about some current proposals, as well as put forward their own ideas on how they can support the libraries by sharing responsibilities and working together to use library buildings better and become more sustainable. Further updates will be made available at milton-keynes.gov.uk/libraries/about-libraries/library-locations. 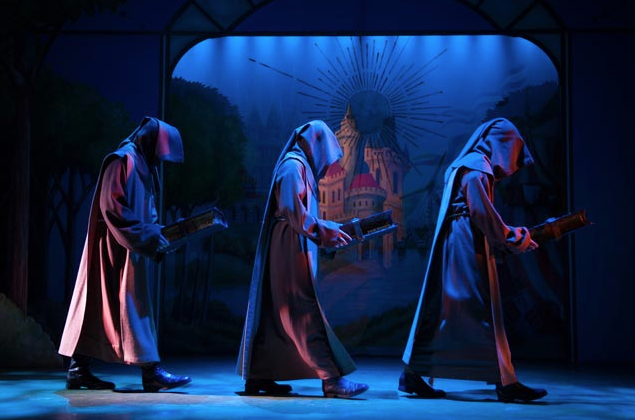 These monks are struggling to look on the bright side - Spamalot is at MK Theatre until Saturday. 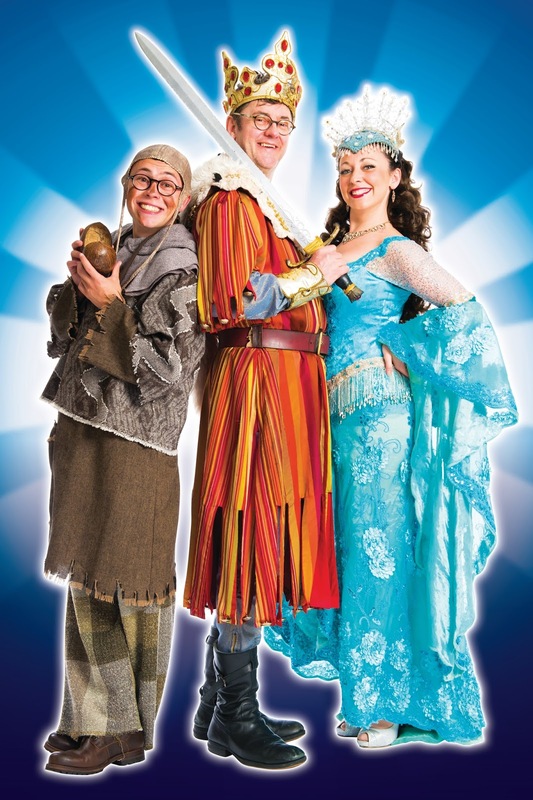 The UK tour of Spamalot is at MK Theatre this week, with a host of stars to entertain the Milton Keynes audience. Last night’s rendition of the musical comedy, lovingly ‘ripped off’ from Monty Python and The Holy Grail, was almost as funny as the original. Recounting the legendary tale of King Arthur and his knights of the Round Table, it follows the Royal as he goes on an extremely unusual quest. Playing the king is comedian Joe Pasquale, who brought his personality to the role with hilarious off-script moments, while Joe Tracini of Hollyoaks fame was wonderfully cast as Patsy. Phonebox's June interview Sarah Earnshaw supported as The Lady of the Lake. The second act was stronger than the first, with the tale getting sillier and sillier, with hilarious twists and fun disasters along the way. Highlights included the the French soldier's comments to King Arthur (“Your mother was a hamster and your father smelt of elderberries!”) and the knight who continued to fight, despite having all his limbs cut off. The cast and audience even came together for a rendition of Always Look On The Bright Side Of Life, which was a great moment. The audience laughed and chuckled throughout the evening, and many were up on their feet clapping at the end. If you’re a Python fan, Spamalot is definitely for you. "It's one of the best parts I've ever played"
The bright side of life - Spamalot is at MK Theatre until Saturday, June 20th. With more than 1,500 performances, Spamalot was seen by two million people and took $175 million in its first run in 2005. Receiving 14 Tony Award nominations, it has gone on to be performed in more than 20 countries across the planet. A decade later, the Monty Python musical (based on the 1975 film The Holy Grail) is on the road again with a UK tour, just months after the Monty Python Live (Mostly) sell-out shows at the o2 arena. 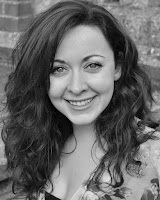 Having earnt her Spamalot stripes by playing the Lady of the Lake in the West End, actress Sarah Earnshaw has stepped back into the sparkly blue shoes, arriving at MK Theatre from June 15th-20th. Speaking from Sunderland, Sarah (pictured top right with Joe Pasquale and Joe Tracini) is having the time of her life. “We’ve only got six weeks left of the tour and I’m having a really good time. You never get bored because you’re always moving on, acting for a new audience. It’s interesting and fun. The actress is well seasoned with being on stage, having previously starred in Wicked, Little Shop of Horrors, Jekyll and Hyde and The Royal Variety Performance, among others. As the Lady of the Lake, Sarah gives King Arthur (played by Joe Pasquale) the iconic Excalibur sword, so he can carry on with his quest and become King. She explains: “It’s one of the best parts I’ve ever played. She’s a woman in the middle of these crazy men, she has some of the best numbers from Andrew Lloyd Webber-type ballads to Broadway numbers. Based on the well-known mythical tale, in Sarah’s mind Spamalot is a little bit like a sketch show. Tickets: £10.50 to £42 on (0844) 871 7652 or go to atgtickets.com. IndieGo Nights is raising funds for 18-month-old Toby. 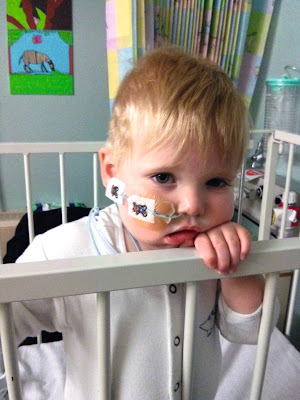 Our next IndieGo Night at The Two Brewers on Thursday 11th June will be a special fundraising night for an incredible 18-month-old boy called Toby O’Grady. Toby has a rare condition called Dravet Syndrome, which means he has dozens of epileptic seizures every day, from little twitches through to prolonged seizures that can last over an hour. As a result, Toby requires powerful rescue medication and frequently has ambulances at the family home. He regularly stops breathing during the seizures and requires resuscitation. It also means that Toby’s development as a young boy has started to slow down and will decline in the near future, and the seizure control will always be an issue. My wife and I have four children of our own and when we read Toby’s story it brought tears to our eyes. Now I’m lucky enough to be in a position where I can call on my band and some brilliant artistic friends to come along for a night and donate their time for free at our IndieGo Nights, so I called a few. Not only will they come along, but these wonderful people have offered (free of charge) some beautiful pieces of their work for auction on the night. On top of this, my band will also auction a house gig, so if you have a party coming up then we’ll come along and play at your home, either acoustic in your front room or plugged in if you have a larger room. The Two Brewers will be auctioning a special meal for two, and there will be plenty of other auctions on the night. I’m sure all the artists that I haven’t yet spoke with will also want to donate something and, of course, all the proceeds will go to Toby’s Trust. If you’re an artist or entertainer, then please email me if you would like to get involved, but we’d love for all the good people of Olney and further afield to pop along for the night, even if it’s just for a short while, to show your support for this wonderful family and this beautiful little boy who needs our help. It will be a great free night out, and we want to do all we can to help. Please have a look at the Toby’s Trust website, tobystrust.org, for more information. I’d like to give a big thank you to Phonebox magazine too for all their support of the IndieGo nights. Anyone who wants to get involved or for more information please email me at ian@ianrobertsmusic.org. For more information about the night, go totwobrewersolney.co.uk or ianrobertsmusic.org. Jamie Lomas and Tina Hobley as Michael and Ashley in Dead Simple. There were screams and lots of blood when a nightmare scenario unfolded on-stage at MK Theatre last night. A stag do prank goes horribly wrong in the adaptation of Peter James’ Dead Simple, with the main character trapped underground in a coffin thanks to his friends. It’s a riveting story, played out sometimes in complete darkness, making the audience feel trapped along with him. Jamie Lomas (Hollyoaks) plays Michael, the unlucky stag, while Tina Hobley (Holby City) plays his secretary and fiancé Ashley. Apart from a small trip up, they’re a fantastic team to star in this dark comedy. Josh Brown, in his first major role, plays Davy Wheeler, a young man with learning disabilities. He was exceptional - expect to see more of him. It’s a wild ride with red herrings and twists to keep the audience on the edge of their seats. There’s a couple of cheesy bits too, and a few laughs, but overall this whodunit was a surprise. If you like a good old-fashioned crime story with a unique detective (played by Gray O`Brien), don`t miss this production. Get running - The MK Marathon is just one of the events Councillor Derek Eastman attended. The elections are over, the summer is coming and all is cosy in the garden – or is it. As I put pen to paper it is pouring with rain and I have only just caught up with the sleep I lost over polling day and the count. The new Council year is about to start and no doubt further Government cuts means another mean year to come. It was good to see residents voicing their concerns at last year’s budget setting and I hope we see a new era in local politics with residents continuing to effectively participate in issues that affect them. As with all things that change, every ward in MK now has elections for MK Councillors for 3 years out of 4. On the 7th May it was my turn to stand in the MK local elections for Newport Pagnell South Ward and on the 8th May the count took place. The Liberal Democrats have represented Newport Pagnell South, Blakelands, Giffard Park and part of Great Linford for over 30 years and I am grateful for the support that I received. With a majority of 390 over the 2nd placed candidate and I was elected to serve for another 4 years. I will always continue to represent the residents of Newport Pagnell South Ward to the best of my ability. Quite unexpectedly, on the 10th September 2014, I found myself elected as Mayor of Milton Keynes. This was both an honour and a privilege and I had no real idea of what to expect. However, although the role seemed daunting it proved to be exciting, challenging, rewarding and exhausting. I have been asked what my favourite event was and it is impossible to pick a single event. There have, however, been highlights. MK is truly a sporting city. I was there when the Dons achieved promotion to the Championship and I was asked to present the league 1 runners up cup to Dean Lewington. The Saints v Saracens rugby match was superb and a good trial for the arrangements for the World Cup later this year. I was asked to start the MK Marathon, which had attracted over 5000 competitors. I have been to many sporting events. I even took part in a Tai Chi session. MK also attracts high level business and I have opened new HQs and business centres for major organisations. Christmas and other parties for both children, families, and the elderly were fun and visits to local voluntary organisations AGMs were an experience. I also met with many local communities from, for example, Ghana, Ireland, Greece, India, Somaliland and Tibet. I was also invited to the 65th wedding anniversary of Mr and Mrs Brown who hailed from Jamaica. In fact I have been invited to over 400 events. But one thing I did note is that Milton Keynes has a beating heart of generosity revealed by the many who go out of their way to raise money and the many who willingly donate. I will never forget my term as Mayor. Follow me online: derekeastman.mycouncillor.org.uk or on facebook at Cllr Derek Eastman. If you need to contact any of the Newport Focus Team, e-mail NewportSouth@mklibdems.co.uk. 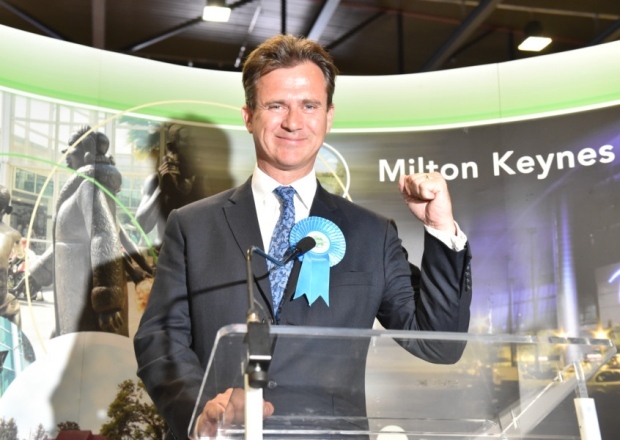 Out and About with Mark Lancaster: "I want to express my humble and heartfelt thanks to voters"
Mark Lancaster has been voted back in as the MP for Milton Keynes North. Now that we have come through the other side of what seemed a very long election campaign, I want to express my humble and heartfelt thanks to voters for bestowing me with the role of representing the constituents of Milton Keynes North for another five years. Having nervously paced up and down watching the ballot boxes being emptied, I was completely overwhelmed by the final announcement not only locally but nationally. It’s a fantastic honour to be voted once again as the Member of Parliament for Milton Keynes North and I have to say, I think it’s one of the best jobs in the world. I am truly grateful that I have been able to secure your trust and given me the opportunity to continue my role in MK and prove that your faith in me is justified. My aim is to continue to deliver a better and fairer deal for our community and ensure that everybody can feel the benefits of a growing economy. A coalition government demonstrated that we were able to provide a strong foundation for our economy, but by no means should we be complacent. There is still much to do in order to give our communities the stability and freedoms they rightly deserve. Whilst my priority is and always will be Milton Keynes, the Government reshuffle has also given me an exciting role within the Ministry of Defence as the new Under Secretary of State for Defence Personnel, Welfare and Veterans. Having been a serving soldier for 27 years in Afghanistan, Kosovo and Bosnia, I have some knowledge in this area and to get to work in the Ministry of Defence is a dream job for me, but I have very important issues to work with. I love Milton Keynes, I like to think I am our city’s greatest fan and it has been an honour to have been able to represent you in Parliament for the past 10 years. A further five years representing this vibrant forwarding thinking city gives me a great sense of pride and I will continue to champion its virtues with all who cross my path. It was a joy to be able to meet lucky voter, Ro Smith from Sherington and congratulate him on winning £100 to spend at Christos Hair Centre. Ro was randomly chosen from over 350 people who voted in my campaign to find the most popular Independent Shop of 2015 in Newport Pagnell. On meeting up with Ro, I learnt that he had been a customer at Christos for over 30 years, in fact he used to pop into their first shop in Wolverton when he was working as a truck driver in the steel works. The family legacy continues on as Luke, Ro’s grandson, is already a regular customer at Christos and is delighted to learn that his granddad is willing to share his good fortune! Every second week in May marks the campaign for Dementia Awareness and the Alzheimers Society are always thinking of new and engaging ways in which to reach local communities. Figures issued by the society state that 850,000 people are estimated to be living with dementia in the UK and is one of the biggest health and care challenges our country faces. Here in MK, the statistics show that over 2,000 are living with dementia and despite the diagnosis rate being high we still need to share the knowledge, information and support that’s available. During the campaign the roadshow bus came to Kingston to reach local shoppers and having become a Dementia Friend myself. I was only too pleased to welcome the team to MK and offer my ongoing support. Why not join their online community at alzheimers.org.uk/talkingpoint? Summer adventures - Throughout June, gardens and farms will be opened up for the public to explore. With the summer sun beating down on the English countryside, many gardens are blooming with flowers and plants of all different sizes. The smell of freshly cut grass is in the air and for gardeners it is the time of year when their hard work pays off. Similarly, it’s an important time of year for farmers too. That’s why events are held across the summer to celebrate the hard work that goes into the British countryside, whether it be commercial or just in your own personal space. Many villages hold open garden events where locals open up their land for visitors to explore, and Open Farm Sunday (June 7th) celebrates the work of farmers who provide a quarter of the UK’s fruit and vegetables. Many have open gardens to raise money for charity or a local cause, as well as the National Gardens Scheme. For more information, go to opengardens.co.uk or ngs.org.uk. Open Farm Sunday is a free initiative that encourages families to visit their local farm, with many including guided walks, nature trails, tractor rides and activities for children. Go to farmsunday.org for information. Any open garden event we’ve missed? Just get in touch with us on (01234) 713298. 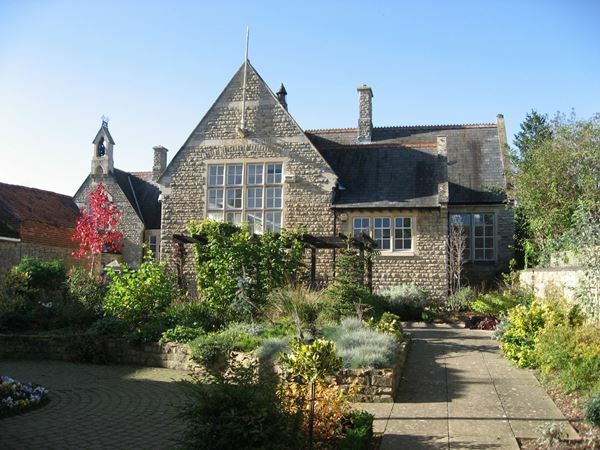 Cowper and Newton Museum National Gardens Weekend (June 6th-7th, 10.30am-4.30pm) The Olney museum and garden will be open to the public in aid of the National Garden Scheme, with tickets costing £2.50 for adults and free entry for under 16s. Plant stalls and tea will be on sale, with proceeds going to the museum’s garden fund. Go to cowperandnewtonmuseum.org.uk. Explore eight gardens as part of the Open Gardens initiative, with tickets and maps on sale at the Old Park Barn in Stoke Goldington. Entrance is £3, with tea and homemade cakes in aid of Willen Hospice. Call (01908) 551092 for details. Nestled in the Buckinghamshire countryside, this bi-annual event offers a scarecrow trail and refreshments in the village hall. All proceeds go to the village hall fund, with tickets £5 for adults, £2 for children for the weekend. Go to castlethorpevillage.org.uk. This year, 29 gardens will be on show, including courtyards, community gardens, allotments and wildlife. The Milton Keynes Society of Artists will be presenting an exhibition at Swinfen Harris Hall, with local artists at York House. Tickets: £5 for the weekend, with money raised going to Willen Hospice. Go to stonyopengardens.info. In this Northamptonshire village 12 gardens will be open to the public, while children can hunt for hidden teddy bears and learn all about the history in the area. Refreshments are available at the Yardley Hastings Memorial Hall. Tickets: £5 for adults and under 16s go free.Go to yardleyhastingsbenefice.org.uk. Alongside personal gardens, Wollaston Museum, Curiosity Cottage and Beacon Hill will all be open to the public. Refreshments will be available, and there will be a book sale. Tickets: £3 with children going free, with all proceeds going to the museum. They are available on the day or at the museum beforehand. With a program highlighting the area and individual gardens, there will be between 8-12 gardens open around the village near Woburn. Tickets: £4 for adults and £3.50 concessions, both being available on the day from the spare or village hall. Call (01908) 583307. Based in Stagsden, Bedfordshire, this farm is open to all, with admission being a donation to charity. Families can see cattle, pigs, sheep and baby turkeys. There will also be a bouncy castle, face painting, a barbecue and pony rides. Go to brownsofstagsden.co.uk. With vintage farm machinery, a working steam engines and displays from bee-keepers, Glebe Farm in Northamptonshire is free entry, but certain activities will be charged for. Visitors can see cows, pigs and sheep, as well as enjoy a barbecue and homemade cakes. Go to facebook.com/openfarmsundayglebefarmpodington. Visitors to this farm will be able to visit the barn where they produce their own cider and see how it’s made. There will also be farm machinery to explore and sit on, including tractors and a combine. It’s free entry, but certain activities will be charged for. Email phil.saxby@btinternet.com for information. Try fresh, local produce and meet the animals at this open farm event in Bedfordshire. The free day out will include farm walks, a barbecue, machinery and tractor displays, and a farm shop and team room will be open. For more information, go to scaldendfarm.com. Based on the Hounslow Hall Estate, families can visit this popular attraction for free, although extra activities such as 4x4 rides and segways will be an extra charge. Visitors can experience guided walks, see the working farm in action and explore the machinery on display. For more information, go to experiencethecountry.co.uk. With tractor and trailer rides, this farm near Newport Pagnell will be open to the public with machinery displays, hosted farm tours and self-guided walks. Refreshments will be available, and families will beable to get up close with cows and chickens. Call (01234) 391874.